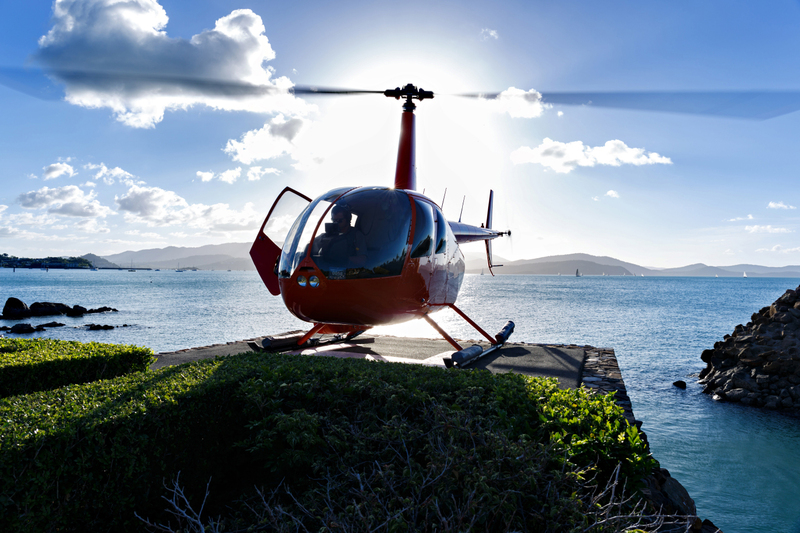 AQUA is just fifteen minutes by private helicopter from its private helipad to the best the world has to offer, or alternatively a relaxed boat trip from its private marina. 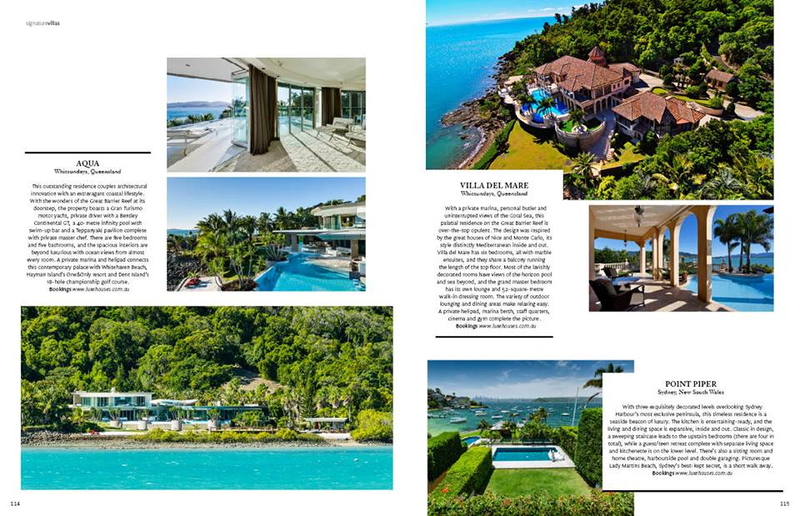 The renowned culinary delights of Qualia and Hayman Island's One&Only resort, Dent Island's Peter Thomson designed 18 hole championship golf course, and Whitehaven Beach voted one of the world’s best beaches, are just some of the few attractions within easy reach by air or by sea. 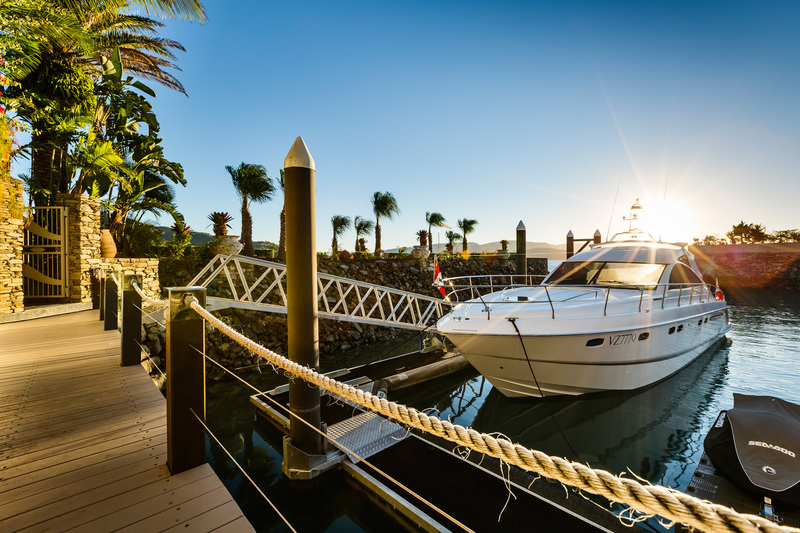 Cruise the crystal clear waters of the Whitsundays from AQUA’s private marina, capable of accommodating up to an 80-foot yacht (separate mooring for larger yachts available outside the marina). 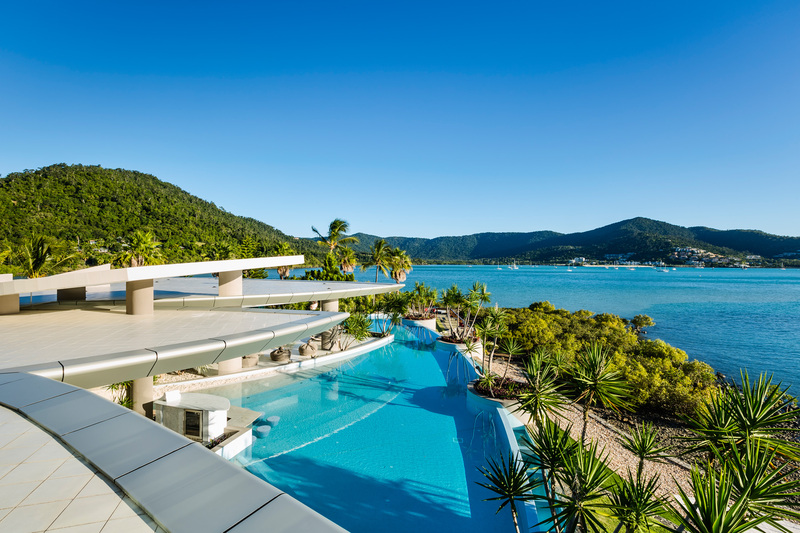 A yachting Mecca, the Whitsunday's boast the internationally renowned Hamilton Island and Airlie Beach race weeks in August each year. Visit, snorkel or dive Australia's Great Barrier Reef, one of the great wonders of the world. 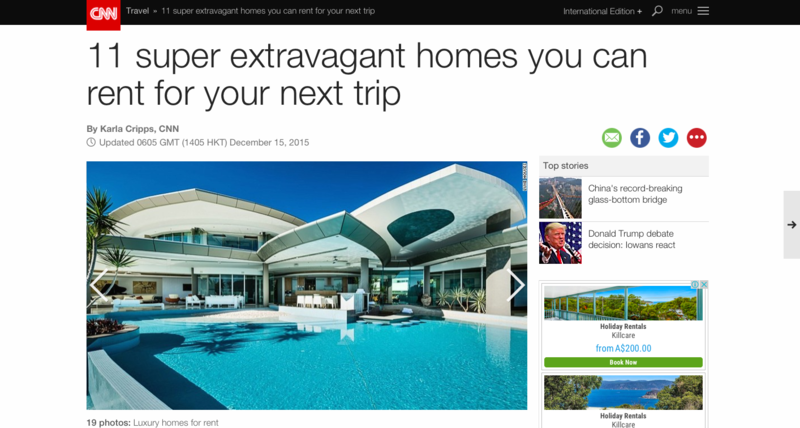 AQUA is easy and convenient to get to, private jet into the privately owned Wave Airpark, then just minutes to the property by helicopter. 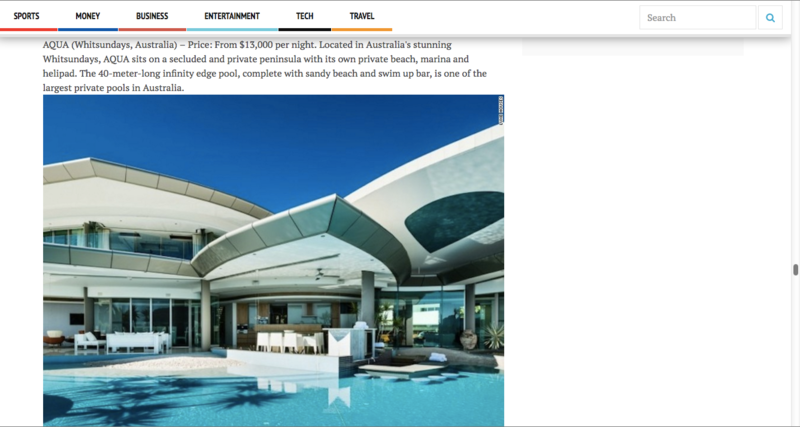 Alternatively, fly into Hamilton Island, or Whitsunday Coast airports, then a 15-minute helicopter flight to AQUA’s private helipad. 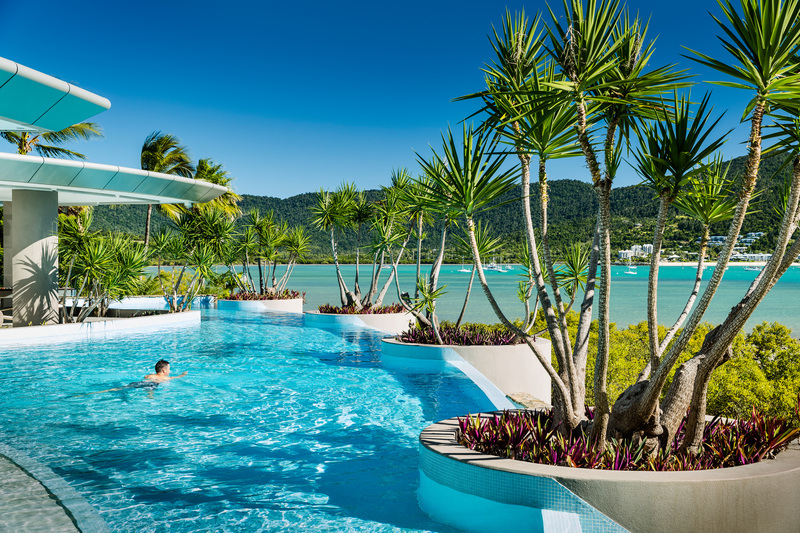 The property is also only 15 minutes by car to the quaint coastal township of Airlie Beach, with its facilities, nightlife, and abundant restaurants. 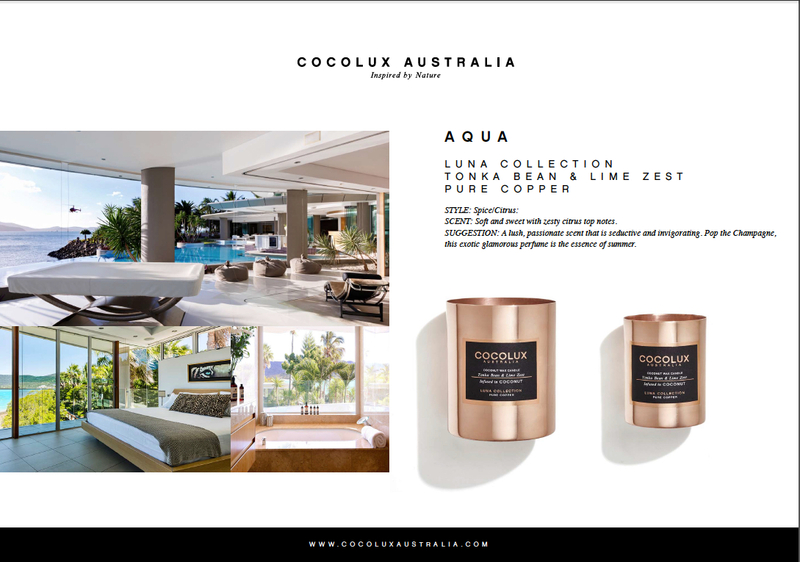 All reservations with AQUA include personal greeting, Champagne on arrival and access to Luxe Concierge. 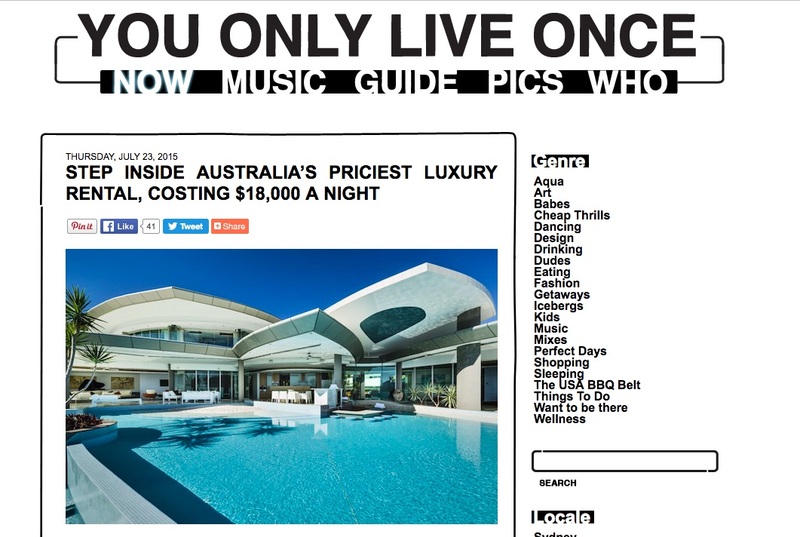 Helicopter, yacht and jet skis shown are not inclusive of property hire. 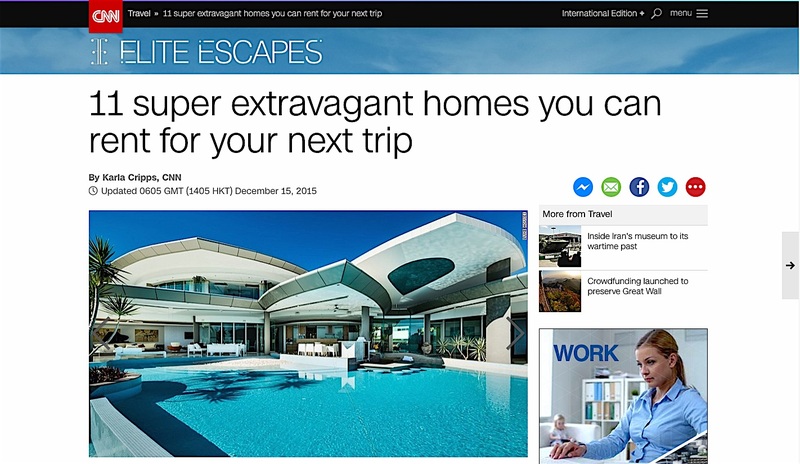 Please ask Luxe Houses concierge if you would like access. We love our VIP concierge and so will you; private charter jets, super yachts, celebrity chefs, butlers, drivers, bespoke spa treatments, wonderful nannies, personal trainers and VIP helicopter transfers. Everything, is in reach with our extensive and highly respected network of impressive professionals, who we have been working with for a number of years. Concierge services also include arranging private chefs and wait staff for special guest occasions from the romantic to group dining experiences. 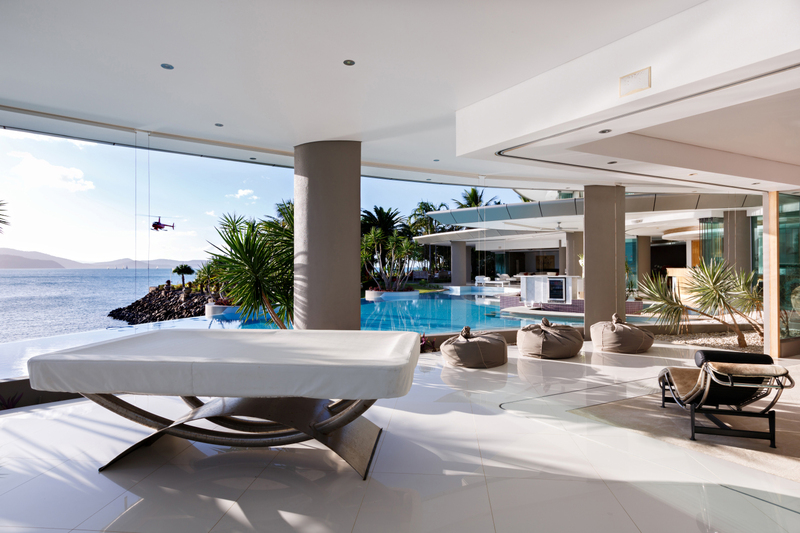 Luxe Houses concierge specialises in ensuring your stay in our properties is both decadent and flawless. 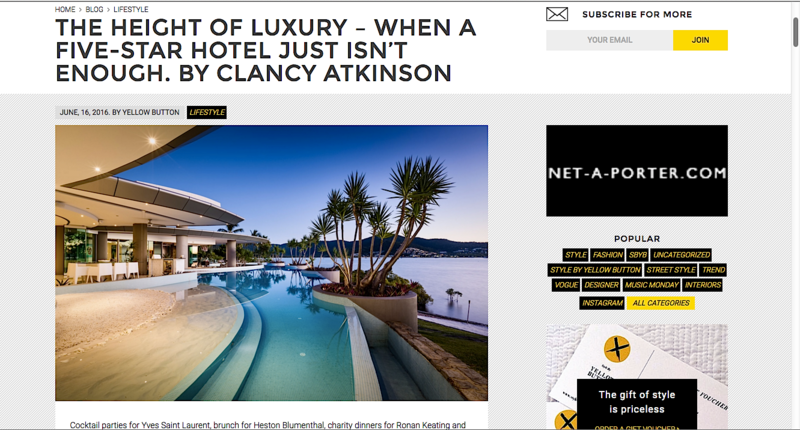 You have just landed in a heritage listed part of the world surrounded by mother nature’s best on the most breathtaking property in Australia. Where do you begin? 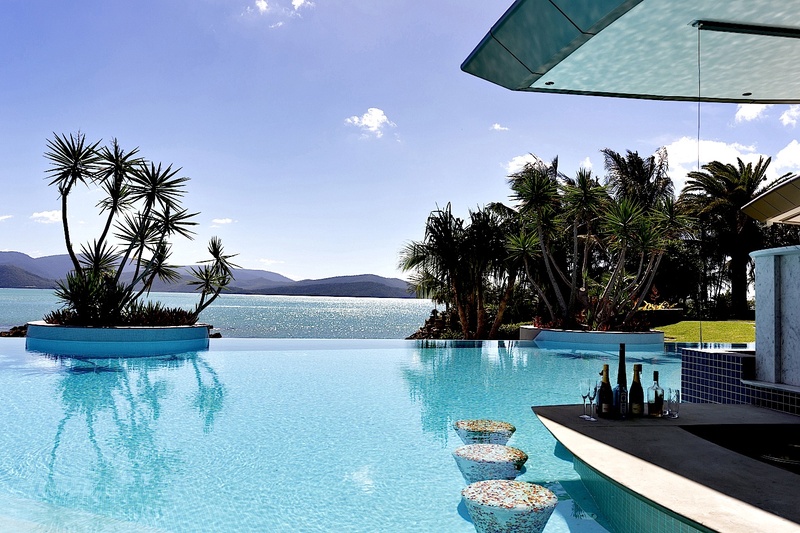 Start right here..Be inspired see AQUA’s endless possibilities below. Stay – Dine – Play – Shop – Kids. collaborate with us – ask today! Experience Australia’s world-famous aqua waters and white sands of the Whitsundays and The Great Barrier Reef in Queensland Australia. 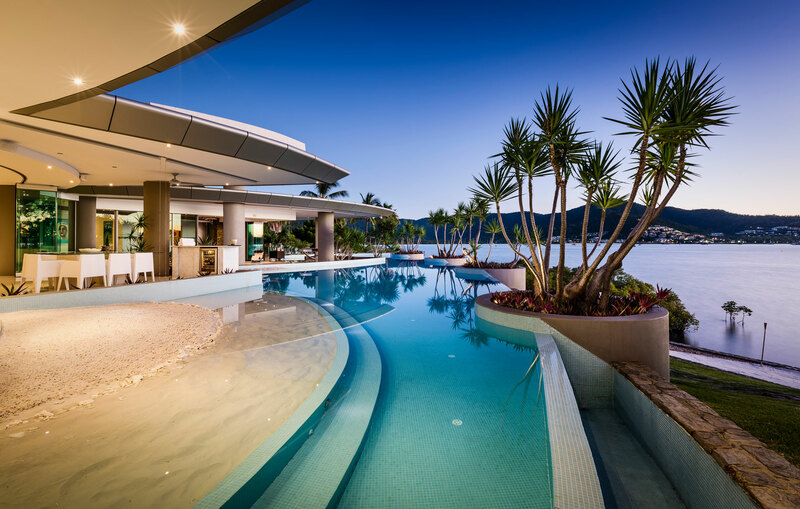 This property is the jewel in the Whitsundays crown. AQUA offers a private beach, marina with luxury cruiser and private helipad. 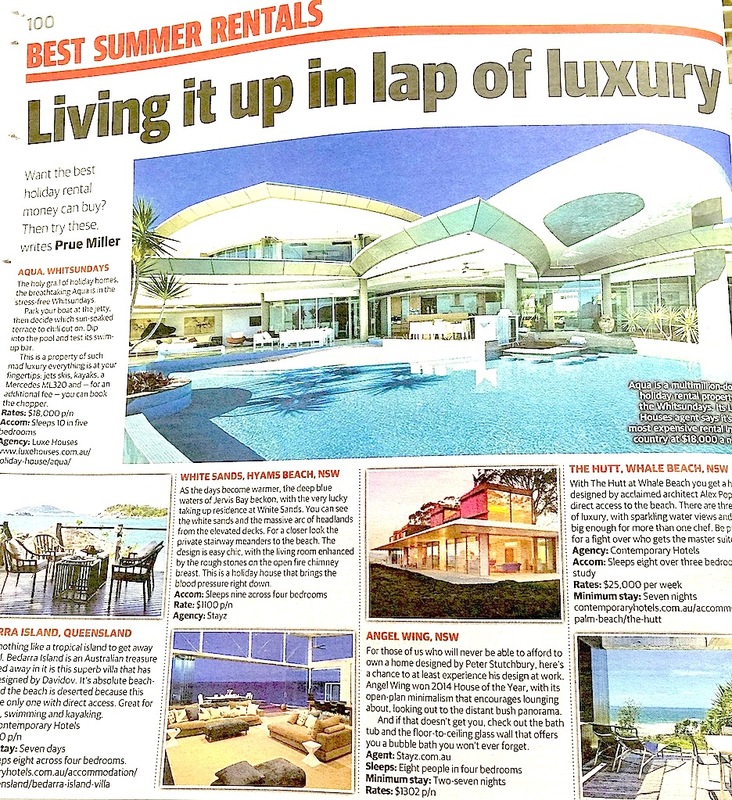 AQUA is akin to an exclusive luxury private resort, truly a rarity by international standards. Your very own Private Butler available 24/7 (Including housekeeping, concierge, driving and chef). Teppanyaki dining with private chef in Aqua’s Teppanyaki pavilion at the southern end of the property, overlooking private beach and garden. Fire twirling dancers and Musicians performing on Aqua’s private beach. Picnic on brilliant white sands at Whitehaven Beach, voted one of the world’s best beaches arrive by helicopter or sea. Golf at Dent Island’s Peter Thomson designed 18 hole championship golf course. 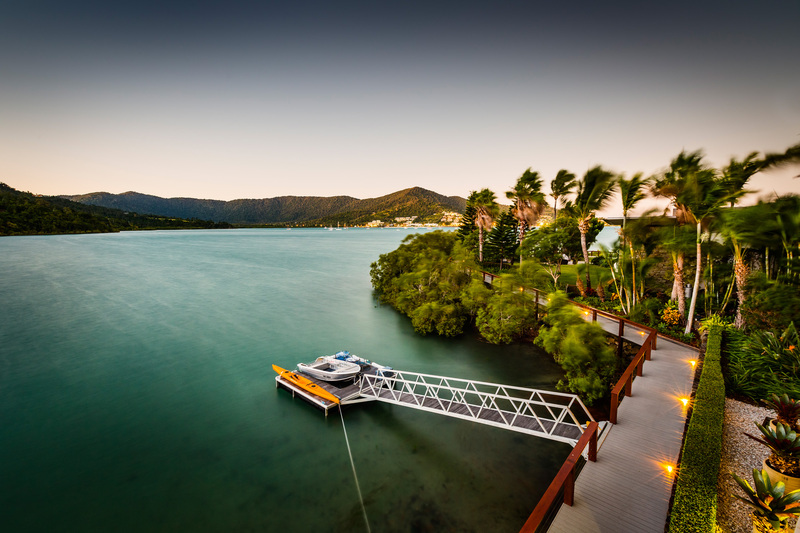 Cruise the crystal blue waters of the Whitsundays from AQUA’s private marina. Snorkel or dive Australia’s Great Barrier Reef, one of the great wonders of the world. 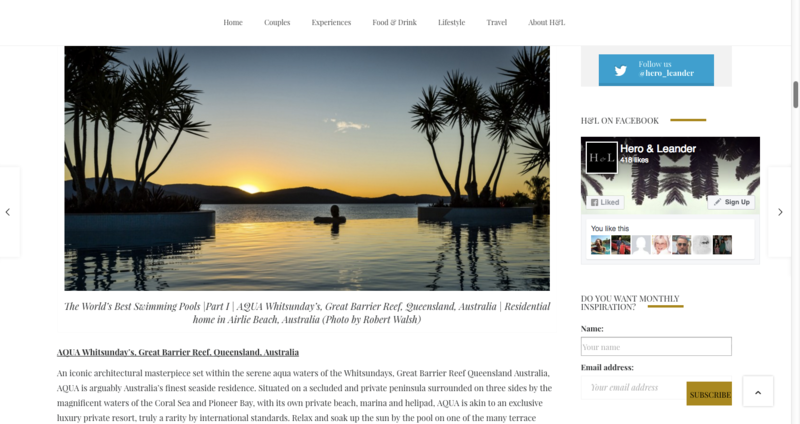 Sail up to 74 islands of the Whitsunday’s, jet ski swim of just relax. Kayak around AQUA and the Whitunday’s waterways. Dolphin and Whale watching by boat of from the comfort of the residence. Beach town visit and shopping in Hamilton island. Beach town visit and shopping in Airlie Beach. Town visit to Airlie children’s man-made beach playground. Cinema screening of latest movies in AQUA’s private cinema. Beach days sandcastle building and shell collecting.